In Gauteng for business this week, I had the chance to visit the latest restaurant venture of acclaimed chef, David Higgs. Marble, the new restaurant in Rosebank, brings an exceptional interpretation of what we all know and love as the braai. “Marble is a celebration of quintessential South African fare and cooking on fire Marble embodies South Africans’ love of cooking with fire, a quality that makes our food culture different from the rest of the world” David Higgs. With Heritage Day being celebrated on 24 September, this is a month to not only celebrate our unique cultures and traditions, but also to try and learn more about each other, to appreciate the values and cultures dear to others in our diverse country. And it is difficult to find a better place to start, than with something that we have in common – the love for a get-together around an open fire, cooking meat over the open flames or coals. 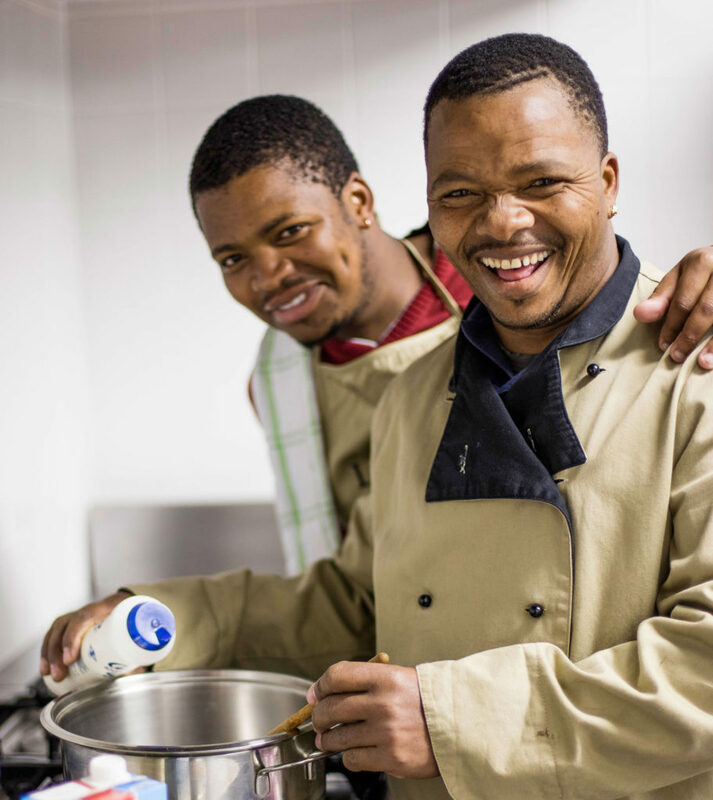 So while most of us will be lighting the fire in two weeks to celebrate an important part of our culinary heritage, I was thinking of introducing a popular Xhosa side dish to the menu and got a recipe from a father-and-son-team working in the La Motte Cellar. Rinse and soak beans overnight or at least for 2 hours. Mix beans and samp in a pot and cover with water. Boil for about 90 minutes (without salt) until soft. Fry onions until soft and add curry powder and chicken spice and fry for another minute. Add onions to beans and samp and simmer until the flavours are integrated and the beans and samp are really soft. Finish with some freshly ground pepper and serve.